Maybe, you have seen Vietnam in the background of a lot of war movies, yet nothing could prepare you for the epic natural beauty of Vietnam. There is no denying that Vietnam is a beautiful and peaceful country in the world. 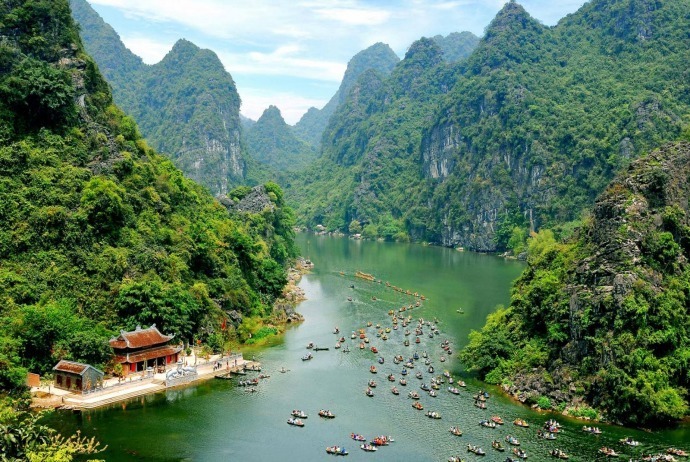 From the natural beauty of Halong (Hạ Long) Bay and Sam Mountain to the artificial artistry of the sacred pagodas and temples, Vietnam has a variety of attracts and great things to offer tourists worldwide. If you are wondering about traveling to Vietnam, then knowing some basic information about weather and time zones in Vietnam is necessary. To be honest, there is not really a wrong or right time to visit Vietnam because during most months of the year comes with different experience, both rain and sunshine in varying quantities. With more than 2000 miles of coastline and 3 different weather systems, Vietnam’s weather is very interesting. While Vietnam is typically humid and warm, the weather could vary strongly from one area to another because of its length. At times, there has been white snow in the mountainous area of the north while the beach in the south often comes with sunshine and 320C. 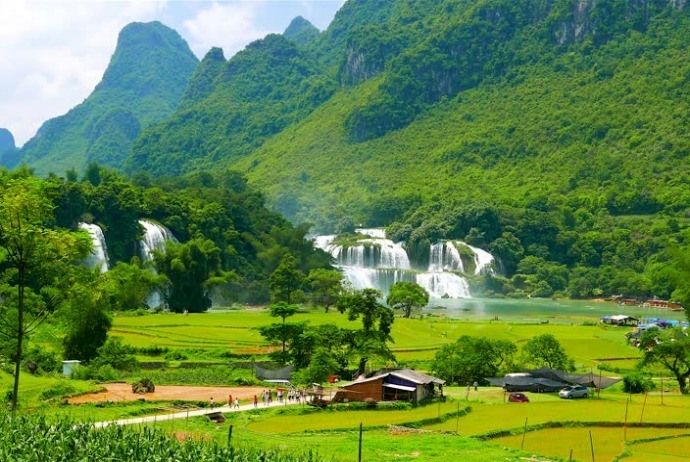 If you are intending to visit Vietnam, then consider the weather in each of three separate areas of Vietnam. Check out the information below! 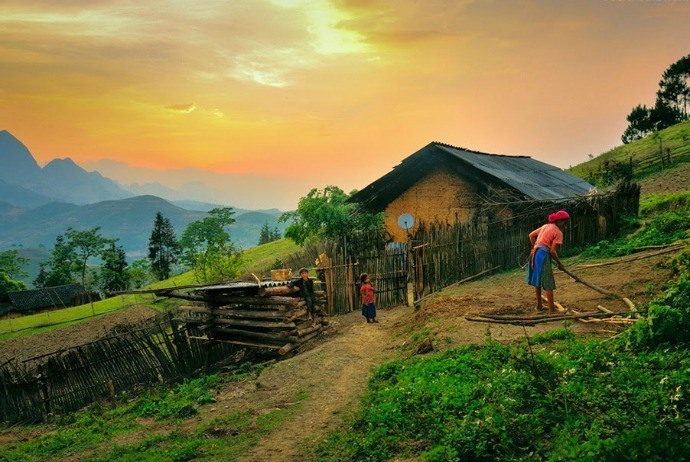 The climate in Sapa along with many far north-west areas of Vietnam is divided into two main seasons: the wet season from April to September and the dry season from October to late March. From December to January, it could get very cold, particularly at night. It is advised that the best months to visit the north-east area (Hà Giang) is from October to April (during dry season) despite from December to January, it could get extremely cold. You had better not traveling to Ha Giang (Hà Giang) during the rainy season, from May to September. 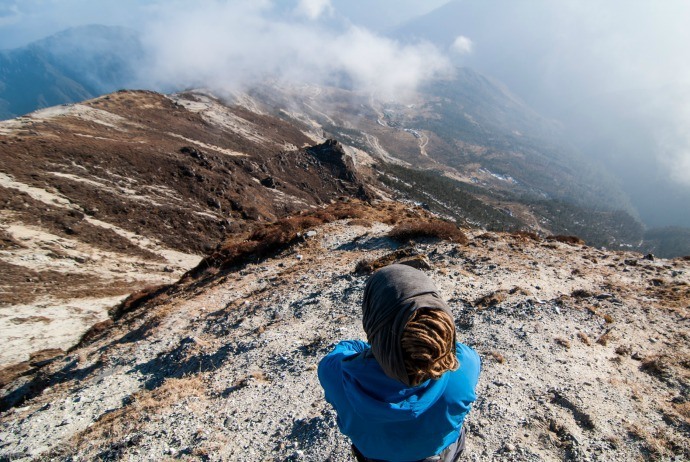 From September to November, and from March to May, the weather is ideal for trekking. The temperature during daytime is from 15 to 280C and during nighttime is from 10 to 180C. Cycling and trekking are possible all year round; nevertheless, the winter time could be a little bit chilly, while the summer is rather wet. 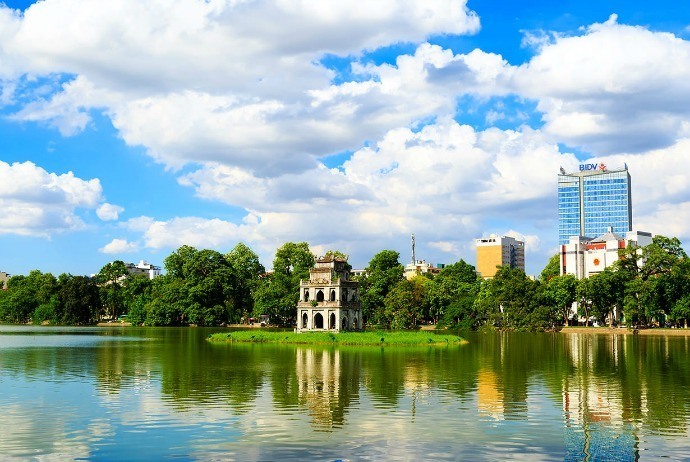 Hanoi as well as other north areas of Vietnam has a distinct summer and winter season. The cool yet mostly dry winter in the north of Vietnam lasts from November to April with the average temperature from 17to 220C. The coldest months are from January to March. The summer months, from May to October, come with humid and hot weather. The area experiences the highest level of rainfall. From July to September, these are the wettest months of the year. During this time, the fierce weather could prevent junks sailing in coastline regions, such as Halong Bay, despite such weather is rare. 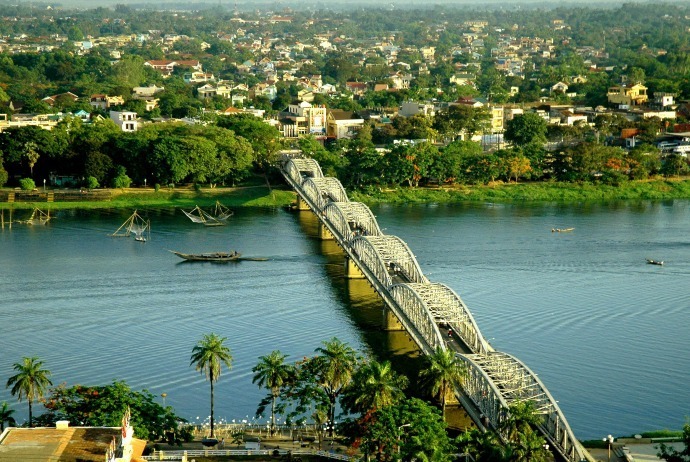 Hue, Hoi An and Danang in the centre of Vietnam have dry and hot weather during the months from January to August with the average temperature fluctuating around 300C. The rainfall enhances during winter months, especially with peak levels from October to November. 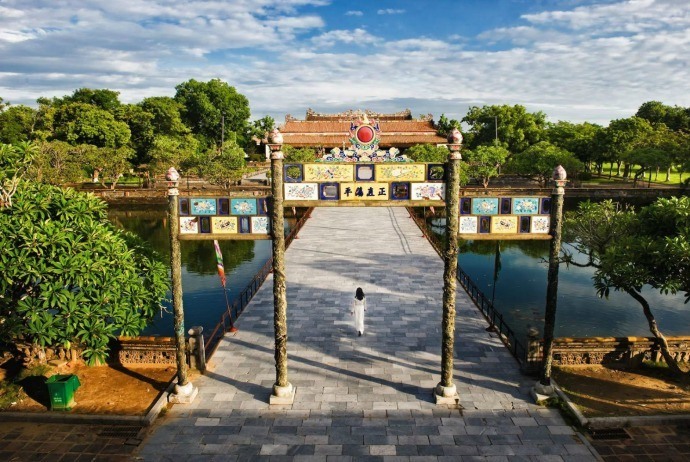 Hue, a famous destination of Vietnam is usually cooler than Hoi An, particularly early period of the year. Additionally, Hoi An and Hue sit on the opposite sides of the small mountain range, so the weather could usually differ between two places greatly on a given day. Another well-known destination of the central region of Vietnam is Quy Nhon which is just 6 hour drive south of the ancient town of Hoi An. This province shares the similar weather pattern despite the dry season is a little bit longer because of its closeness to the southern system. Nha Trang, located at the far south of the central area of Vietnam, benefits from comfortable weather with longer dry season (from noticeably from January to September), little rain and high temperature. The rainy season lasts from October to early December with nearly half of the rainfall yearly falling from October and November. With the temperature remaining stable year round, the climate of the south is divided into two seasons, dry season and wet season. The dry season runs from November to late April or early May, but from late February to May, it seems a little bit hotter with higher level of humidity. The wet seasons runs from May to November with the period from June to August having the highest level of rainfall annually. During the wet season, rainfall is heavy in general yet short lasting. Normally, the average temperature ranges from 25 to 350C all year round. 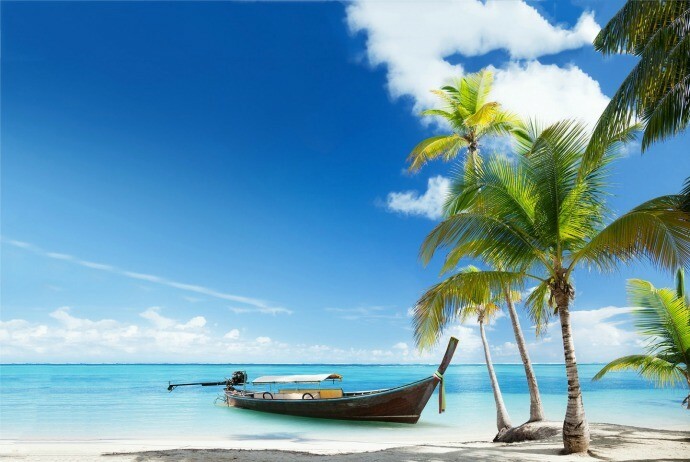 In the far south, the beautiful beaches in Phu Quoc Island (one of the most famous destinations in Vietnam) enjoy a monsoon climate featuring with 2 separate seasons: the wet season (July – October and the dry season (November – July). Thus, visits to this island could be made all year round despite the best time is from November to July (the dry season). Dalat, located on highland area of Vietnam, is wet during the period of June to October, making outdoor activities problematic. Besides, from November to May, the weather is much dryer despite it is cold from December to January. In Northern Vietnam, such as Halong (Hạ Long) Bay and Hanoi, January is among the cold months. The temperature in this period could decrease to as low as 10 degree, yet many people said that it even feels worse than snow and ice in those temperate zone countries. Hence, it is necessary to bring warm clothes and watch the weather forecast beforehand. When heading to the south, it gets warmer and warmer. In Hue and Danang (Đà Nẵng), the rainy season is going to end this time with the temperature ranging from 16 to 210C. In Ho Chi Minh City, January is the time it is in the middle of dry season. The sun is on even until 17:00 or 18:00. 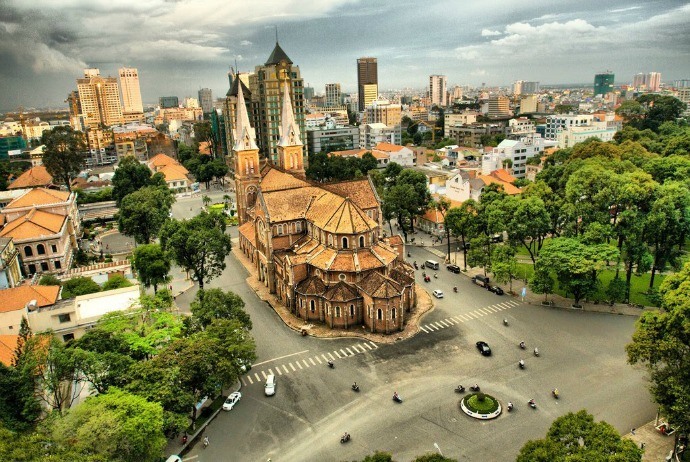 Without any doubt, January is considered as one of the best months to visit Saigon as well as other Southern provinces. Starting your new year with an interesting adventure to the South East Asian country like Vietnam is a great idea. 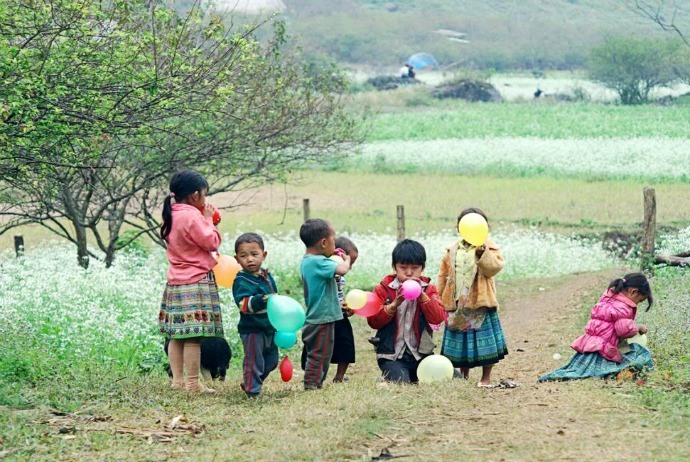 January is the month for celebration in many countries, including Vietnam. Despite it is a not a festive because the Lunar New Year – the biggest traditional holiday of Vietnam – often starts from Late January, it is still worth seeing how Solar New Year is greatly celebrated in Vietnam. The majority of public services related to offices are closed on this special day yet restaurants as well as hotels still remain running and become more crowded these occasions. If you are lucky enough to become one of the earliest people to arrive at one of the formal international airports of Vietnam this time, you will be greeted by the tourism authorities with bouquets of flowers and wreaths as the first tourists of the year. Closer to the late January, you will see happier and busier Vietnamese residents than any time of the year. Because it steadily gets closer to Tet (Tết) holiday, people get rushing to complete their job and shop. Similar to Christmas preparation of Western countries, yet instead of decorating pine trees, Vietnamese people choose the most beautiful peach blossoms and kumquat. In both rural and urban areas, there are flowers placed next to cakes, and dried fruit (mứt), and candies waiting to be sold and bought. If you love shopping, then January is when local products are displayed and on sale at display centers and shopping malls. One of unpredictable months in Vietnam is February. Like how North Americans and Europeans crave for Christmas, Northern Vietnamese wish for a little bit rain on the first rain of the Lunar year, setting the atmosphere and bringing about luck. 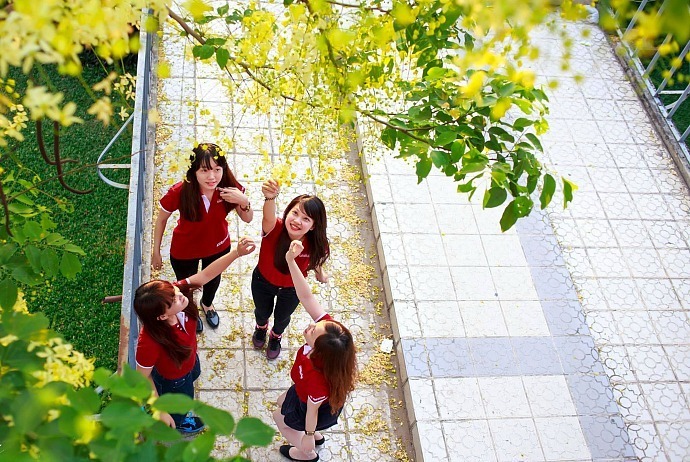 People living in Ho Chi Minh City will enjoy warm weather and sun for most days in February. In this time, the dry season in Central Vietnam started with comfortably warm temperature. On the other hand, the North might remain from cool to cold anywhere. So, if you want to enjoy beaches, then head to the south. 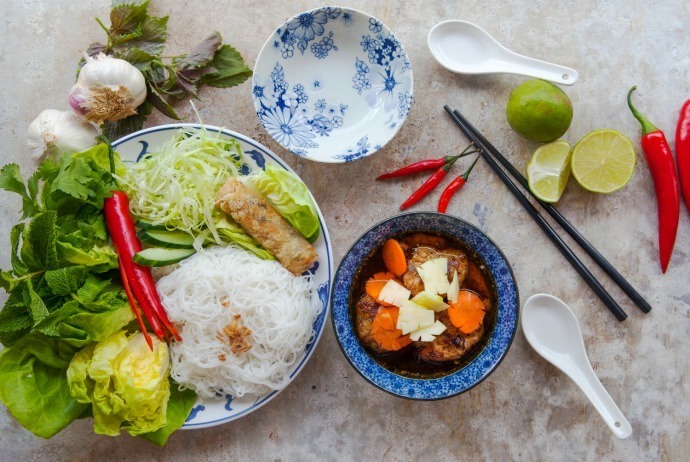 Because February is the month of relaxation and celebration for Vietnamese people, particularly from the Tet (Tết) holiday on, so you should not miss a chance if you are invited to join in the meal of a local family during this holiday. Vietnamese people are strong believers; they try hard to pay off all their debts before the Lunar New Year coming. All they do is to aim to feel happy and free so that the same sentiment could last for all year long. About 2 weeks after to Lunar New Year, there is another holiday of Vietnamese people, named Tet Nguyen Tieu (Tết Nguyên Tiêu) – the important event for celebrating the first full moon of a year. In this time, you should not miss a chance to visiting Hoi An as in every full moon night, floating lanterns will be lit up on Thu Bon (Thu Bồn) River. At the central squares, you will be able to enjoy interesting traditional games and music. In other busier places like Hanoi, Ho Chi Minh City, and Hue, you could get a different sense of Tet Nguyen Tieu because many families will burn the clothes-shaped paper and incense for their ancestors. Aside from those cultural events, the 3rd of February each year is the anniversary of the Communist Party’s founding. Despite celebrated national-wide, it is very vividly witnessed on TV and in Hanoi. There are music shows and parades praising the importance and success of the Party in governance of Vietnam and the liberation. All houses facing the street are required publically to hang national flags. In general, it is a good chance for tourists and residents to take photos. In March, Northern Vietnam has just passed the unpredictable and severe weather stage. It is often dry and warm and the same can be talked about South and Central Vietnam, despite the temperature could be higher if you head to the south. 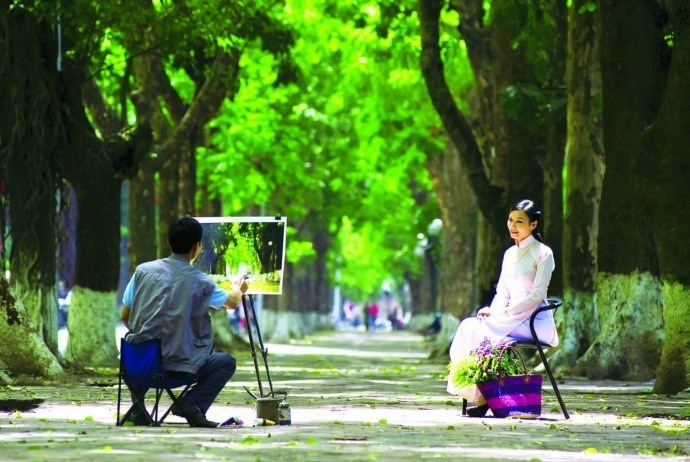 It is said that March is among the best months for tourists to visit Saigon. 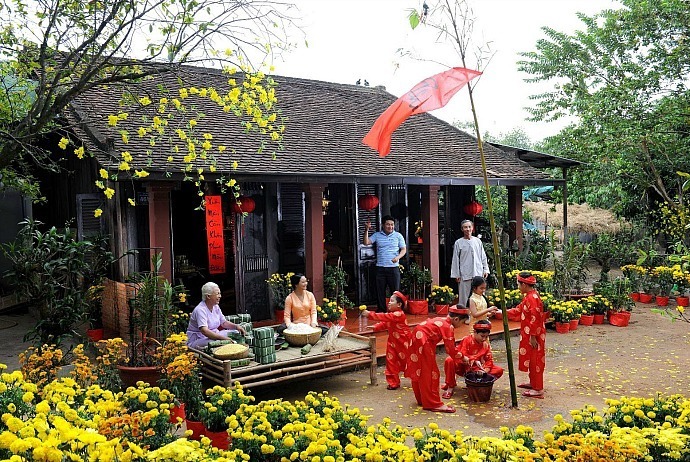 If you are in the North of Vietnam in March, then you should not miss Perfume Pagoda festival – Hoi Chua Huong. Those Buddhists national-wide make their pilgrimage here from February to March to respectfully pray for healthy, luck and happiness of their families (of course, including themselves). The trek is often crammed and tedious with pilgrimage. Nevertheless, it is the time of the year to greatly capture such moment in Huong Pagoda (Chùa Hương) – people with sticky rice, trays of chicken, and fruits on their heads whilst walking up the rocky stairs. In March, there is a special day celebrating the importance of all women – the International Woman’s Day. There are gift and flower services all over cities along with cultural events. The younger will show their respect for their grandmothers and mothers; students to their teachers and males to females, nowhere can the International Women Day be alive like in Vietnam. April has more rain than last months, particularly towards the end of April in Southern and Northern areas. The coastal regions in Vietnam remain perfect weather and condition for swimming as well as other water-based activities. When it comes to temperature, while the North features with increased temperature, the Central and the South remains constant temperature from 25 to 330C. April is the last month of spring before it begins getting humid and hot countrywide. Apart from the last several days when people are preparing to take off for their long holiday, the remained days of the month feature with calm and most tourist attractions are not as crowded as later months. The last day of April, the 30th, is the grand celebration of reunification – the day that North and South Vietnam were united and replaced by the only one country called as Vietnam today. Like other political related celebration, there are events and speeches reminding the younger generation of the victorious past. May is the first month of the hot summer, but it does not have too extreme hot weather. In northern area of Vietnam, you will see a mild increase in temperature to approximately 320C whilst the central and southern part might have up to 350C. Nevertheless, all parts of Vietnam get more humid tiring even the most energetic tourists in such days. Load up on cool water and wear light clothes if you are going to head to Vietnam in this month. There is an International Labor Day, the 1st of May, which is usually merged with April 30th to be a long holiday for residents. This time, domestic travelers have vacations in the coastal cities with beach, or mountainous areas, or even abroad. Maybe, this is a great time for tourists to visit Hanoi or Saigon because they return to the most calm and normal state. A biking or walking tour will be at its greatest experience during the first two days of May. Candle vigils are taken place countrywide and particularly in the birthplace of Uncle Ho, Kim Lien (Kim Liên) village belonged to Nghe An (Nghệ An) province. It is the day when everybody from young kindergarten kids to middle-aged men and women commemorate and show their respect to the Great Father of Vietnam. Normally, domestic tourist season will start from late May to late August. During June – July, the weather is hot. In northern area, particularly in Hanoi, the heat is worse by the volume of population and traffic and sometime the dust. 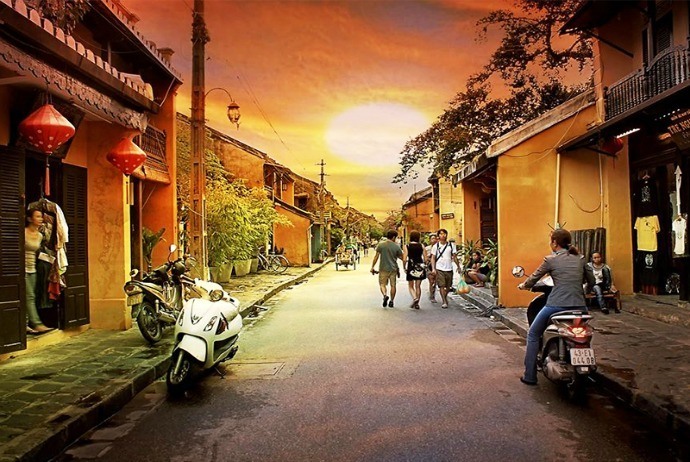 In Hoi An and Hue, the heat is increased by the intense amount of strong sun light. In Saigon, also known as Ho Chi Minh City, the heat is even coupled with regular rain. 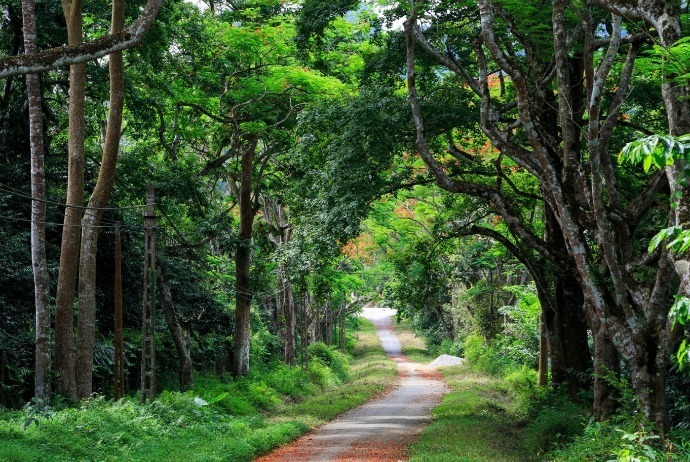 If you can’t bear the heat, then you should choose Tam Dao (Tam Đảo), Sapa (Sa Pa), or Dalat (Đà Lạt) to escape the heat as they are highland yearns with pleasant and cool climate. June along with July is considered as the high season of the domestic travel so the majority of main attractions are jam packed with a large number of people. Being the monsoonal season, the period between June and July does not make swimming as pleasure as other months because of the constant wave-full ocean. On the other hand, there is no significant holiday occurring in June and July yet due to the large quantity of domestic travelers, so it is smart to book your vacation well in advance in order to meet your own travel schedule. From late June to mid July, there is Hue (Huế) festival taken place, which is reckoned as one of the highlighted cultural events attended by both locals and tourists alike. With city-wide Hue culture celebration and grand music shows, you can have many interesting experiences if traveling to Hue this time. The festival organizers usually maintain an official website with detailed information on the schedule of the festival as well as ticket details, so just stay tuned. In August, you will see more shadowy days with occasional downpours, lightning and thunders. This is also a peak month for rainfall in the North yet the rain seems to a little bit back off in the Central and South Vietnam. During this month, the temperature often varies between 27 and 32 in Hanoi and a bit lower in Danang (Đà Nẵng) and Saigon (Sài Gòn). The highland regions still remain cool yet with rain, the temperature could reduce to below 20 at night. Similar to many countries, August is the month that finishes summer in Vietnam. Many families will take off to domestic places to round off their summer holiday despite a lesser extent in comparison with the period from June to July. Besides, international airfares seem to remain high, so if you are not on a tight budget, then book your trip for early September rather than late August. When it comes to weather in Vietnam in September, the first half of this month might see another increase in the temperature all countrywide. Rainfall ceases in the capital Hanoi as well as the North yet increase in both the Central and South. Nevertheless, along with rain, the climate in those places like Hoi An (Hội An), Hue (Huế), and Saigon (Sài Gòn) are more pleasant than it was during summer months. It is better to check the weather before heading to the coast as it is the month for storms and typhoons now and then. Similar to February, September is also a month with cultural and political events. The 2nd of September is the National Independence Day, when national flags are hung on every street, parades happen in main boulevards, and speeches are seen on many TV channels. A lot of veterans treat this special occasion with honor and it is the time to reflect on the triumph over subsequent wards. The young generations will take this time as a holiday chance to visit friends and families or simply travel around. For international tourists, this is a great chance to see how the day is respectfully celebrated in Vietnam. In addition, September is also a good month for family travel. The second half of September is when Full-moon celebration is usually celebrated. According to tradition, it is the time for local farmers to celebrate the fruitful harvesting season. These days, as more as more farmers migrate to cities, they took with them this tradition yet more for kids. They would gather several music tools like whistle, drums and parade around their neighborhood. Then, the final location would be a yard on the top of a house or on the ground where they could enjoy green rice (com), grapefruits, and moon cake whilst contemplating the beauty of the moon. If you have a chance to visit Sapa during this month, you will be able to witness the harvesting season when the terraced rice field is much livelier than any other month of the year. Many farmers go out to harvest, wearing colorful clothes if they are Dzao or Hmong and non la if they are Kinh. When it comes to weather in Vietnam in October, this month may be the best month to travel in Vietnam. The weather in the North is cool for the most part of the country with leaves changing colors to yellow. The air is dry with mild temperature. In the central area, including Danang (Đà Nẵng), Hue (Huế), and Hoi An (Hội An), the rain becomes popular but it does not dilute the area’s beauty. In reality, the beauty of Hue in this time has become a great source of inspiration for generations of artists and poets. In the South, the temperature get stable, ranging from 24 to 310C with less rain in comparison with last summer months. October is a calm month. 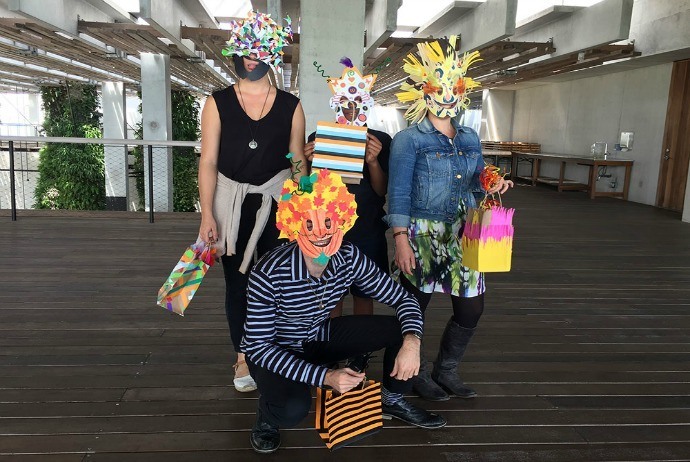 Despite Vietnamese do not celebrate the Western special day – Halloween, the young still try to catch up by shopping for costumes and masks for party. Similar to September, it is better to check the weather forecast beforehand. It is predicted that many storms are imminent to flood into the coastal area, holding off your trips for a few days, even weeks. Northern cities as well as provinces are cooler in November whilst the Centre and the South are warm. The temperature could rise up to 310C. The rain tends to cease in Hue, Danang (Đà Nẵng), and Hoi An (Hội An) despite it has yet to stop completely. This is a good month for tourists to visit Saigon and Mekong delta as the weather is dry and warm this time. Similar to October, November is one of the months belonged to the best time to travel in Vietnam recommended by many forums and guidebooks. Definitely, it is because the weather in Halong (Hạ Long) Bay, Hanoi (Hà Nội), and other Northern areas in Vietnam slowly turn dryer and cooler thanks to the wind coming from China. Tour agencies report an increase in foreign tourist quantity during this month. It is also a great time to shop around for the best deal. December, the last month of the year, is usually colder than the rest months. In Hanoi, particularly in North-western area like Sapa (Sa Pa), it is much colder. If you are going to visit the North of Vietnam this time, you had better prepare warm clothes otherwise you may be trapped in an unexpected flu or cold. Bring a lot of lip balms as well as hand creams as the weather is dry, making you suffer intensely. When moving southward, it is not as cold and dry. There are comfortable breezes with sun on till late afternoon. If you are about to be away from home during December, particularly Christmas time, then you should take into consideration that roasted turkey and smashed potatoes are not really easy to find in Vietnam. Yet, you will have a holiday being abroad and try “nem rán” (Vietnamese fried sausage) and “bún chả” (grilled pork vermicelli soup). Vietnam time zone is GMT +7 and therefore has the similar hours as Indonesia and Thailand. In fact, Vietnam day and night normally contrasts with such in North America. For instance, AM in Vietnam is PM in the US and vice versa. Because Vietnam does not operate daylight-saving time so the hours are simply fixed in summer and winter. Now, it is your turn: for any contributing information about the article of Weather and time zones in Vietnam, feel free to drop your words below this post. We will feedback as soon as possible!